Watching YouTube videos and trying to teach yourself how to surf can work for some people – but for the vast majority, teaching yourself how to surf can be an incredibly exhausting and frustrating process. Furthermore, practicing incorrect or bad technique, creates a ‘bad habit’. And the more you repeat this, the further it is ingrained into your muscle memory. Bad habits can hinder your surfing progress and be tough to correct. When you’re in the water, lying on a surfboard, getting washed around by waves and swept around by currents, not knowing which wave to try catch or which to leave, trying to stay out of other surfers way and avoiding riding over others.. There is a lot happening! As a first-timer/beginner surfer it can feel like total chaos. Furthermore, when you do manage to catch a wave, it’s nearly impossible to know exactly what you’re doing and if it’s right/wrong, good/bad. Avoid the pain and frustration and BOOK A LESSON . A good coach is someone who spends time on the beach with you comprehensively explaining and training you in the correct surfing technique; they will describe the dangers you’ll face as a learner and how best to avoid them; they will introduce you to the equipment and how best to safely handle it (on the beach and) in the water when dealing with endless waves rolling at you. A good coach can asses what YOU are physically capable of, and assist you by teaching you the best surfing technique that’s suited for YOU and your body-type. Surfing technique is not a ‘one-size-fits-all’ solution. A good coach will give you feedback throughout your lesson on what you’re getting right and what you need to watch out for. A good coach will be patient with you and encourage you, without putting any pressure on you or breaking your confidence. A good coach will re-enforce the ocean safety advice constantly so these ‘tips’ become a natural part of your behavior in the ocean. Just because some is a good surfer, does NOT make them a good coach. In fact, the more experienced surfers are so comfortable in the ocean, that they take much of what they know as ‘common knowledge’ and don’t think to point out these tips to their students – this is definitely not good, if not dangerous, when introducing beginners to the ocean, let alone surfing. The ISA Level 1 coaching courses are incredibly comprehensive in the covering all the basic steps and information that a coach needs to communicate to their students, to ensuring the safest and most successful learn to surf experience. As our name implies, many of our client come to LEARN 2 SURF to ‘learn to surf’ – but there are also many who book lessons to learn to surf correctly. 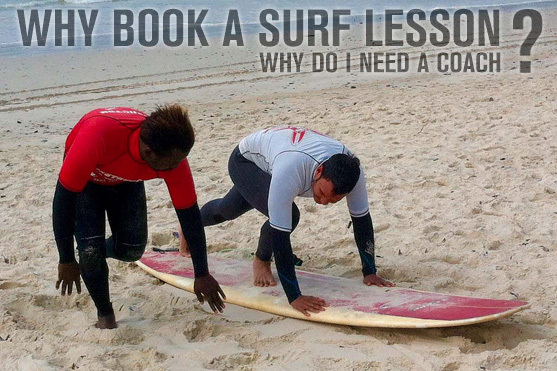 Our instructors know very well the common ‘bad habits’ that many surfers pic up, and they know how to fix them! 99% of LEARN 2 SURF students achieve the basic surfing technique of standing and riding waves before the end of their first lesson! And knowing that you’re in the safest environment and receiving the best instruction makes learning to surf an even more enjoyable experience. To learn the correct technique, with the least amount of frustration, and to start your surfing journey by putting the correct foot forward – or to take your surfing to the next level – BOOK A LESSON ! 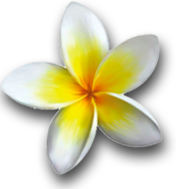 Thank you for your interest in LEARN 2 SURF – we look forward to hearing from you!